The nostalgia peddler who’s been attempting to sell cars in which Tupac Shakur and Notorious B.I.G. were shot hasn’t been having much luck in moving them on the open market. Pitchfork spoke to Moments in Time founder Gary Zimet about his service, which acquires and resells “original historical materials,” and how he hasn’t gotten anyone to bite on the two murder cars. 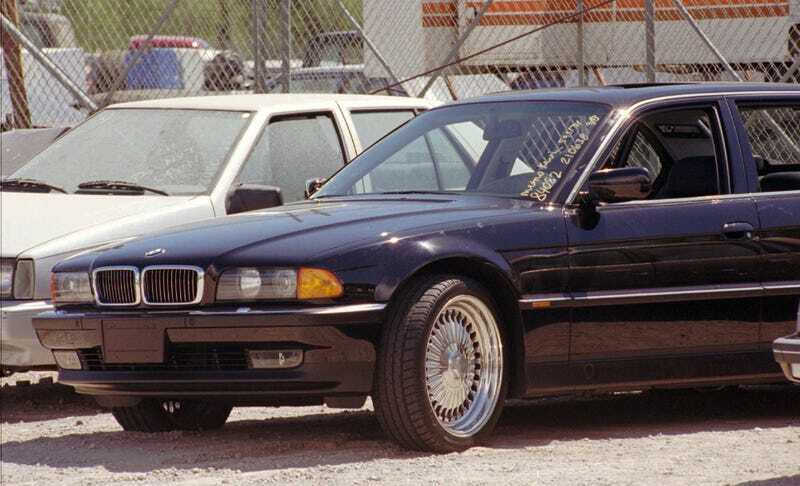 Zimet’s lowered the asking price on Biggie’s SUV from $1 million to $750,000, and has been trying to unload the BMW for $1.5 million. Although Tupac car’s been fully restored with bullet holes completely smoothed over, there’s still a hole visible in the Suburban’s seatbelt. Zimet also says the cops aren’t keeping either car around for evidence—the Tupac case is basically closed, and he is of the mind that “police are almost certainly involved in Biggie’s killing,” so the case will never be solved. Is he concerned about accusations that this line of work is disrespectful to the families and way too morbid? Hell no. The fact these were cars that someone died in appeals to people. There is a curiosity there. Is it slightly morbid? Absolutely! Am I exploiting the families [of Biggie and Tupac]? Absolutely… not! How would I be exploiting them? Some would make that argument, but it isn’t how I feel. These are pieces of American history—just like the copy of the 13th Amendment I sold, which was signed by Lincoln, is a piece of American history. Not interested in hip-hop murder cars? There might be another item on the Moments in Time site for you, including the hearse which transported Martin Luther King. Jr’s body, the only original copy of the real Schindler’s List (and I don’t mean on DVD), or Sir Francis Drake’s will. Quite the business! Shawn Cooke is a staff writer at Gizmodo Media Group who mostly writes about pop culture and music.